If you are planning on IMPORTING pest control products into Canada, you should know that Health Canada is UPDATING the rules for the IMPORTATION of these products for PERSONAL USE. UNREGISTERED pest control products IMPORTED from other countries [ i.e. America ] have NOT been assessed for safety by Health Canada, and may NOT be labeled or packaged properly for safe use in Canada. 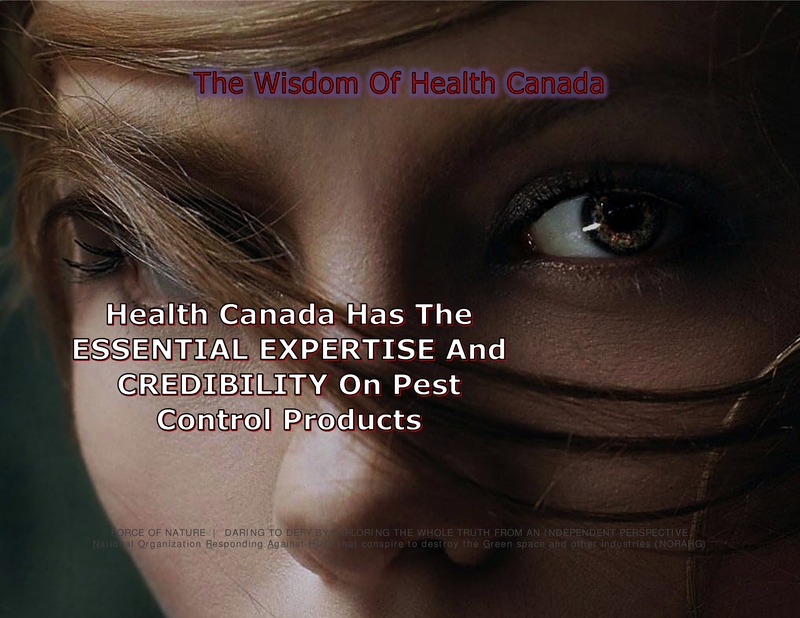 For this reason, the Pest Control Products Regulations are being UPDATED to further protect the health, safety, and environment of Canadians. Starting April 18th, 2018, you will NO LONGER IMPORT UNREGISTERED pest control products into Canada if they are NOT EQUIVALENT to those already REGISTERED by Health Canada for personal use in or around your home ( i.e. Domestic Class products ). An EQUIVALENT pest control product is one that has the SAME ACTIVE INGREDIENT in the same concentration. In addition, you will no longer be allowed to purchase UNREGISTERED pest control products ON-LINE and have them SHIPPED to Canada. The purchaser of the product must IMPORT it into Canada IN PERSON. Canadians can use the Health Canada ON-LINE PESTICIDE LABEL DATABASE to access information on ALL REGISTERED pest control products in Canada. They can also use the Pesticide Labels MOBILE APP to search for REGISTERED pest control products by product name, active ingredient, registrant name, or full label contents. All pest control products that are REGISTERED for use in Canada have a Pest Control Product ( PCP ) registration number on the label. It is important to read the label on a pest control product carefully, as it also contains specific information on using the product safely. ADVERSE INCIDENTS related to the use of a pest control product should be reported to the manufacturer, who is required by law to report it to Health Canada. You may also report an incident directly to Health Canada by completing an INCIDENT REPORT FORM. Child Gastro-Intestinal Vomiting • Dog Death ?!?! Malaise & Muscle Weakness ?!?! • Minor Respiratory Exposure ?!?! 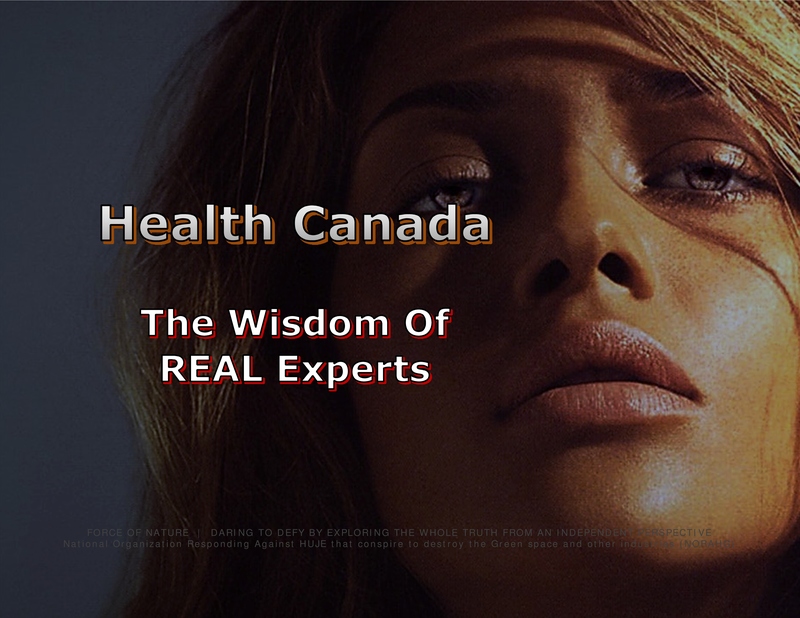 WE SPEAK THE WHOLE TRUTH WITH THE WISDOM OF REAL EXPERTS ! We are the National Organization Responding Against HUJE that conspire to destroy the Green space & other industries ( NORAHG ). NORAHG is a non-profit & independent organization that reports on the work of several highly-rated leading experts who have recognized expertise, training, & background in matters concerning pest control products, & who promote environmental realism & pesticide truths. 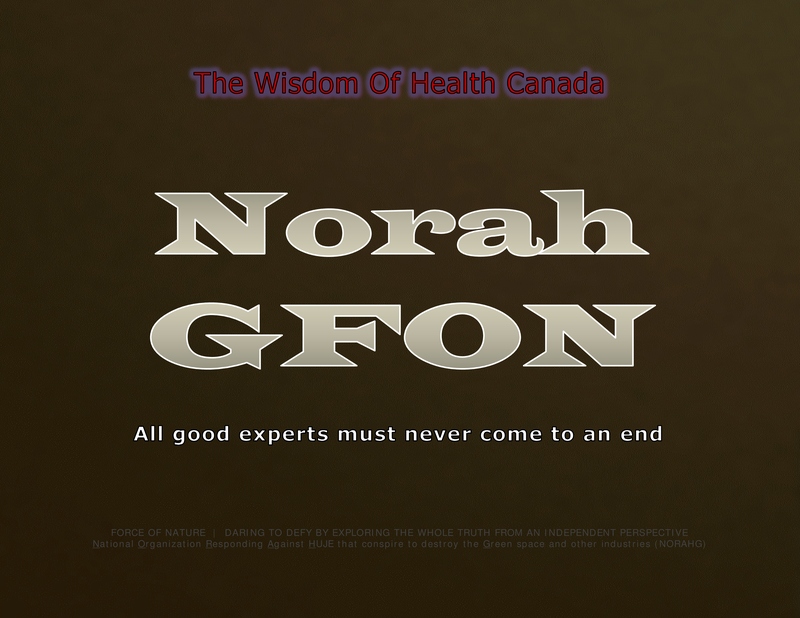 NORAHG produces THE WISDOM OF REAL EXPERTS, a series of reports & blogs providing SCIENTIFIC INFORMATION from several highly-rated leading experts, like the scientists at Health Canada, who have recognized expertise, training, and background in matters concerning pest control products, and who promote environmental realism and pesticide truths. REAL EXPERTS ― Any prohibition against pest control products is not supported by any of North America’s respected and highly rated experts health and policy experts. These real experts speak out against the conspiracy to impose legislation that recklessly and arbitrarily prohibit conventional pest control products. They have recognized expertise, training and background in matters concerning pest control products. And none have ever consulted by anti-pesticide & environmental-terrжrist organizations. They promote environmental realism and pesticide truths. UPDATES is committed to SOUND SCIENCE, as well as ground breaking original reporting that informs, entertains, & creates real change. All information, excerpts, & pictures contained in THE WISDOM OF REAL EXPERTS were retrieved from the Internet, & may be considered in the public domain. The information presented in THE WISDOM OF REAL EXPERTS is for preliminary planning. All decisions must take into account the prevailing growing conditions, the time of year, & the established management practices. All products mentioned in THE WISDOM OF REAL EXPERTS should be used in accordance with the manufacturer’s directions, & according to provincial, state, or federal law. For the official advantages, benefits, features, precautions, & restrictions concerning any product, the turf manager must rely only on the information furnished by the manufacturer. THE WISDOM OF REAL EXPERTS, Force Of Nature, & their various incarnations, were the brain-child of William H Gathercole ( now retired ) & his colleagues. FIELDS OF STUDY ― Horticulture/Agriculture • Mathematics • Physics. ALMA MATER ― McGill University • University of Guelph • the first person ever to obtain university degrees & contribute to both the professional lawn care & golf maintenance industries. EXPERTISE IN ― turf & ornamental maintenance & troubleshooting • history of the green space industry • sales & distribution of seeds, chemicals, fertilizers, & equipment • fertilizer manufacturing & distribution • environmental issues & anti-pesticide terrжrism. NOTABLE ACTIVITIES ― worked in virtually all aspects of the green space industry, including golf maintenance, professional lawn care, tree & shrub care, distribution, environmental compliance, government negotiations, public affairs, & workplace safety ― • the supervisor, consultant, &, programmer for the successful execution of hundreds-of-thousands of management operations in the golf course & urban landscape, as well as millions of pest control applications • the advisor, instructor, & trainer for thousands of turf & ornamental managers & technicians • the pesticide certification instructor for thousands of industry workers • a major founder of the modern professional lawn care industry • the prolific writer for industry publications, reports, & blogs • the first to confirm the invasion of European Chafer insects in both the Montreal region & the Vancouver / Fraser Valley region • with Dr Peter Dernoeden, the first to confirm the presence of Take All Patch as a disease of turf in Eastern Canada • with Dr David Shetlar, the first to confirm the presence of Kentucky Bluegrass Scale as an insect pest in South-Western Ontario, & later, in the Montreal & Vancouver regions. SPECIAL CONTRIBUTIONS ― the creator of the Exception Status that allowed the golf industry to avoid being subjected to anti-pesticide prohibition for a generation • the creator of the signs that are now used for posting after application • the co-founder of annual winter convention for Quebec golf course superintendents • the co-founder of the first ever Turf Summit • the major influence in the decision by Canadian Cancer Society to stop selling-for-profit fresh pesticide-treated daffodils • the only true reliable witness of the events of anti-pesticide prohibition in the town of Hudson, Quebec • the founder ( now retired ) of THE WISDOM OF REAL EXPERTS & Force Of Nature reports & blogs. NOTABLE AWARD ― the first man-of-the-year for contributions leading to the successful founding of the Quebec professional lawn care industry, which served as a beach-head against anti-pesticide activists in the 1980s & 1990s. LEGACY ― Mr Gathercole & his colleagues … designed & implemented strategies that reined anti-pesticide activists & provided peace & prosperity for the entire modern green space industry across Canada for a generation • orchestrated legal action against anti-pesticide activists in the town of Hudson, Quebec • launched the largest founding professional lawn care business in the nation • quadrupled the business revenues of one of the largest suppliers in the nation. Mr Gathercole is now retired, although his name continues to appear as the founder of THE WISDOM OF REAL EXPERTS & Force Of Nature reports & blogs.